Having been unable to buy an away win for large parts of the season, Welling made it 5 away wins in a row with yet another 1-0 victory, their 4th single goal victory of the 5 consecutive away wins. The conditions could not have been in more contrast to last season’s farcical windy conditions. However with the pitch very hard underfoot and very bobbly in places it certainly never allowed Welling to play their fast flowing football, with The Wings often resulting to a more direct style of play, but it proved successful. Gloucester had the first attempt at goal but Fabien Robert smashed an effort high over the bar after a free kick had fallen kindly for him. Will Henry then did well to save a Danny Mills header from a McCallum free kick. In what was a very stop start game, Welling were finding joy from their set pieces and Gavin McCallum again produced a great free kick that Danny Mills met with a looping header, his effort was heading in and had to be tipped over by Henry. McCallum then took the corner but Richard Orlu headed over. Welling were in control and a superb ball into the box from Mendy found Mills who rose well to head goalwards, the ball looked to be heading in at the far post, but Will Henry made a super save plucking away the ball for a corner. From the corner McCallum found Orlu, but having escaped his marker he headed over the bar. As it was the sides went in level at the break. Into the second half and Welling lost Mendy to injury at half time and he was replaced by Julien Anau but the game became much more of a battle with chances for both sides at a premium. Noel-Williams nicked the ball off of Sanchez Ming and drove into the Welling area but blazed over for the relegation threatened Tigers. 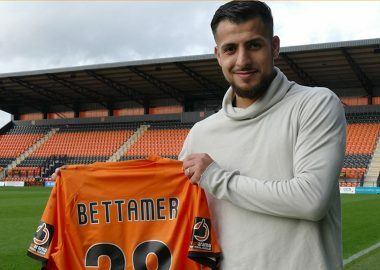 On the hour mark Welling replaced Bradley Goldberg with new Wings loan signing Mo Bettamer and his physical presence had an immediate impact with the direct style of play Welling were being forced to play. Kiernan drove at the City defence but saw his goal bound effort blocked. In a rare Gloucester attack Robert hit an effort from range but the effort lacked power and Wilks saves easily. With the game looking certain to end in a stalemate in the 85th minute Welling scored the all important winner. 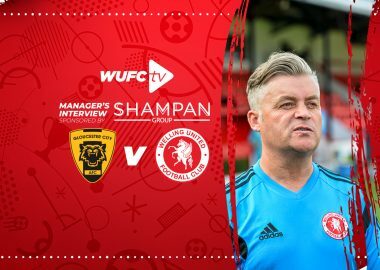 McCallum swung in a perfect corner right onto the penalty spot where Anthony Acheampong beat his marker and attacked the ball through a crowd of players to powerfully head the ball that keeper Will Henry could only push into the roof of the net, to send the travelling Wings fans behind the goal wild. The Wings almost doubled their lead soon after as Kiernan burst through but Henry saved well with his legs. With the game deep into added on time and with Gloucester throwing caution to the wind a long throw came into the Welling box which Spencer Hamilton hooked goalwards only for Dan Wilks to produce a fantastic save at his near post. The save ensuring Welling held out for another crucial win and make it 8 games unbeaten. The Wings now look ahead to a crunch home fixture against fellow play off chasing Bath City at Park View Road next Saturday.